Margaret Townsend, a certified yoga instructor in the Integral tradition. Ms. Townsend has completed over 500 additional hours training in the Ashtanga Tradition, in Pre-NatalPost-Natal Yoga, and with various reknown teachers. She has been practicing yoga for over ten years and has taught yoga and dance throughout the New York area before moving to Virginia to complete her M.F.A. in Dance. Ms. Townsend’s classes reflect her training in the Integral, Iyengar, Anusara, and Ashtanga traditions. Her teaching incorporates a vigorous breath linked series (the vinyasa) designed to build strength, endurance and flexibility in the student. She is also an avid prenatal instructor, having witnessed how Yoga can ease childbirth, regulate pregnancy and speed recovery. Ms. Townsend is a member of the Yoga Teachers Association of Greater New York (Westchester Chapter) and the Mid-Atlantic Yoga Association**. Ms. Townsend continues her own studies in the Yoga tradition attending advanced level teacher training workshops with reknown teachers such asRodney Yee, John Friend, Beryl Bender Birch, and David Swensen. 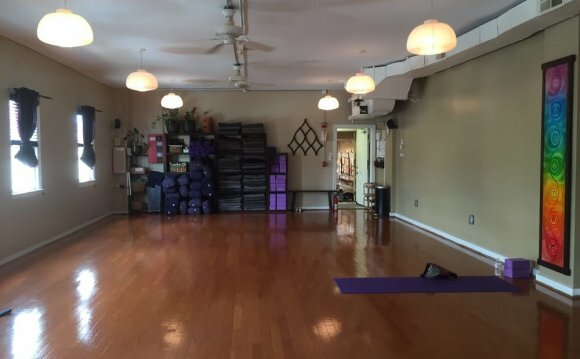 Ms. Townsend is the owner and director of Alexandria’s River’s Edge Center a Green Yoga and Wellness Center located in Old Town North, minutes from National Airport. Ms. Townsend began her dance training at the age of 5. She apprenticed with the La Jolla Ballet Company. Her teachers include Finis Jhung, Chet Walker, Chris Chadman and Viola Farber. While in New York, Ms. Townsend taught at SUNY Purchase, The Marymont School and the Harvey School where she served as the Director of the Summer Dance Program.